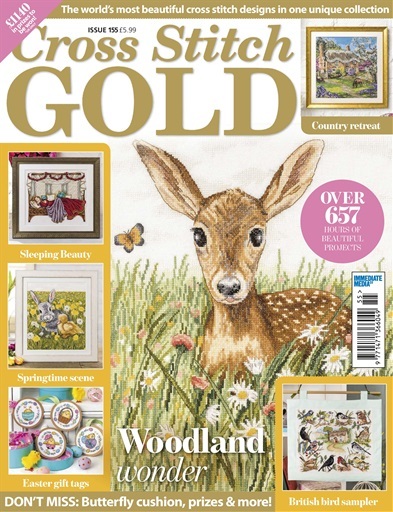 Welcome to your new issue! 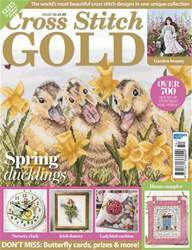 An Easter bunny and his duckling friend bring the cute factor to Gold this month on page 26, and we’ve also got some other lovely spring scenes for you to enjoy, including a beautiful fawn (p4) and our pick of the month – Carol Thornton’s idyllic thatched cottage, complete with wild ponies (p18). Like the rest of the world, we’re eagerly awaiting news of the new Royal baby, and in celebration of this exciting event we’ve rounded up our favourite birth sampler kits on page 56. 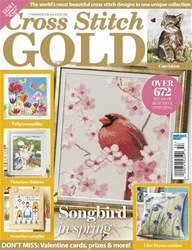 Plus, don’ t miss our modern baby bunting project on page 44 – we think Meghan and Harry would agree, it’s gorgeous! Elsewhere for your home, you can add a splash of colour with our beautiful butterfly cushion (p34) – a perfect project if you’re running out of wall space.